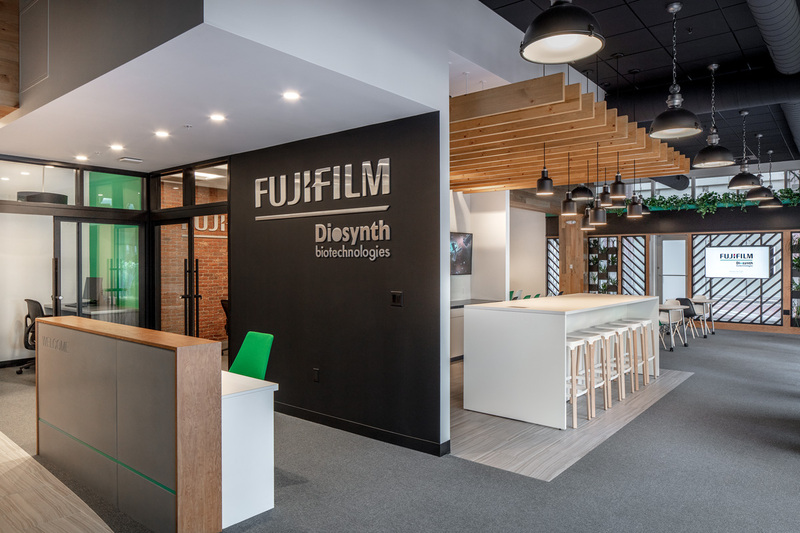 FUJIFILM Disoynth Biotechnologies (Fuji) is a leading Contract Development and Manufacturing Organization (CDMO) with experience in the development and manufacture of recombinant biopharmaceuticals and gene therapies. A CDMO serves other companies in the pharmaceutical industry, providing broad services from drug development through drug manufacturing. 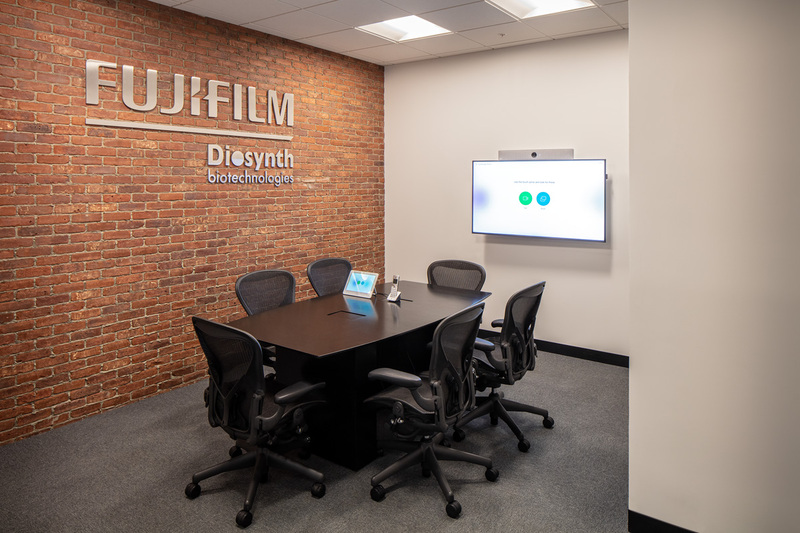 Having a collaboration space in the heart of Kendall Square, the epicenter for innovation, allows Fuji to partner with the growing biopharmaceutical community. 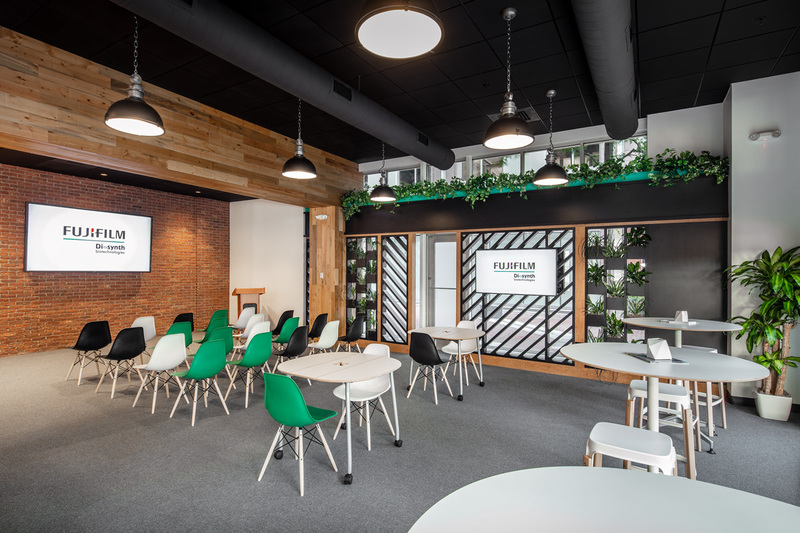 The new space, located at One Kendall has a beautiful and inviting atrium with meeting spaces that are designed to facilitate collaboration and education among industry experts. 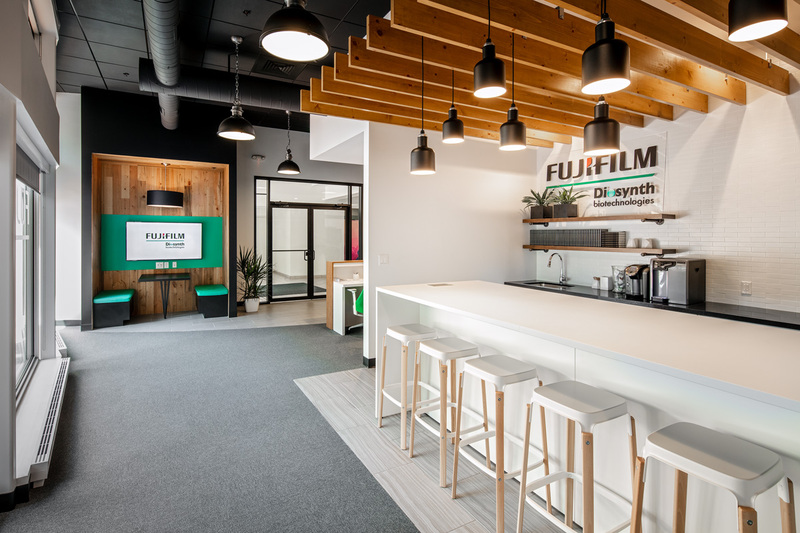 Wise worked hand and hand with the design team and the Fuji team to bring the vision to reality. Finishes included new glass entry point, upgrades to the existing HVAC system, a kitchenette and new plumbing. 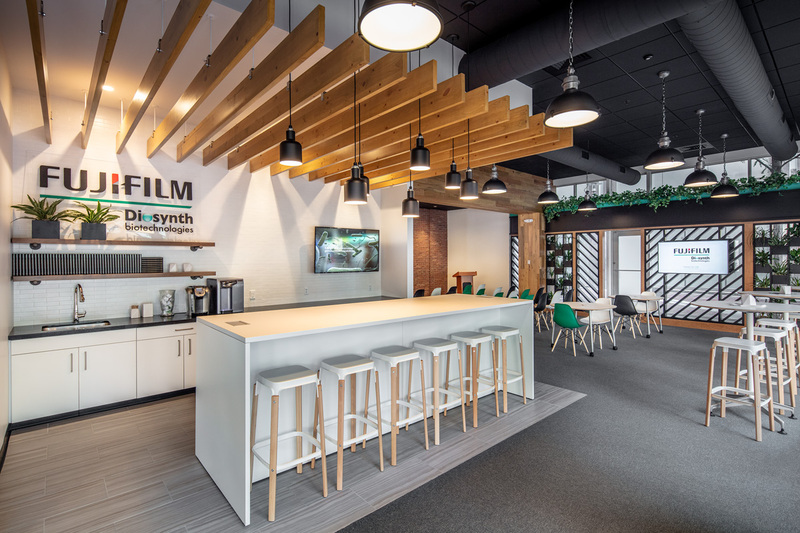 Close coordination and communication were key to the project’s success.